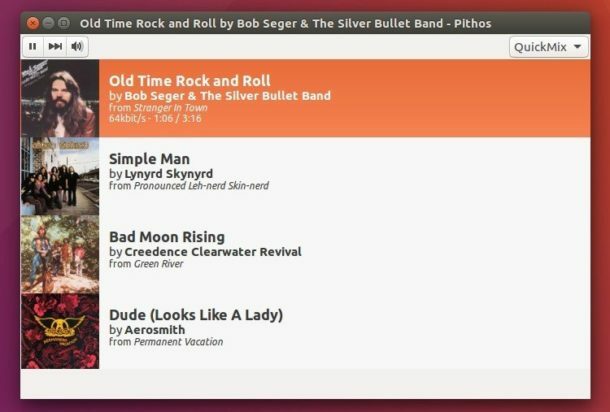 Pithos, a native Pandora Radio client for Linux, has reached the 1.2.0, a new major release with a lot of cleanup and some UI redesigns. Pithos is an open-source software. It’s much more lightweight than the Pandora.com web client, and integrates with desktop features such as media keys, notifications, and the sound menu. Bug fixes, and more changes at release page. 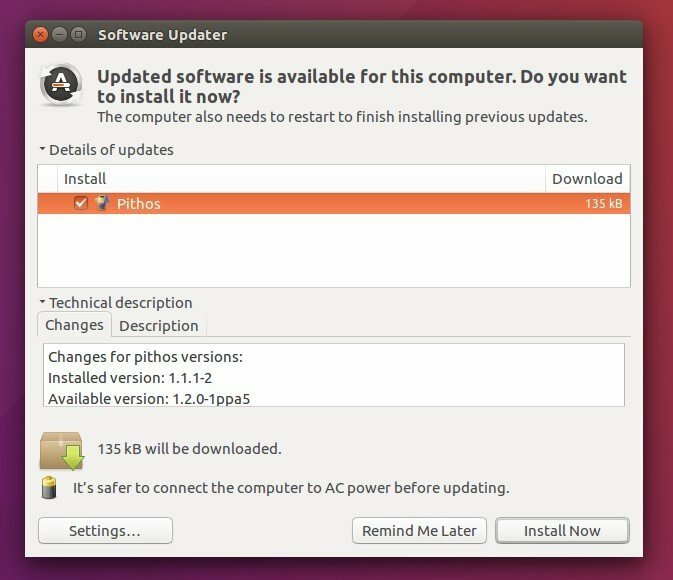 The new release is available for Ubuntu 16.04 in its official PPA repository. Type in password when it asks and note that there’s no visual feedback while typing password. For those who don’t want to add PPA, grab the package “pithos_1.2.0-xxx_all.deb” from HERE. Can anyone help me? I keep getting this error every time I try to open pithos. Sorry I can’t help you with the problem, but Pithos works good in my 16.04 64-bit.